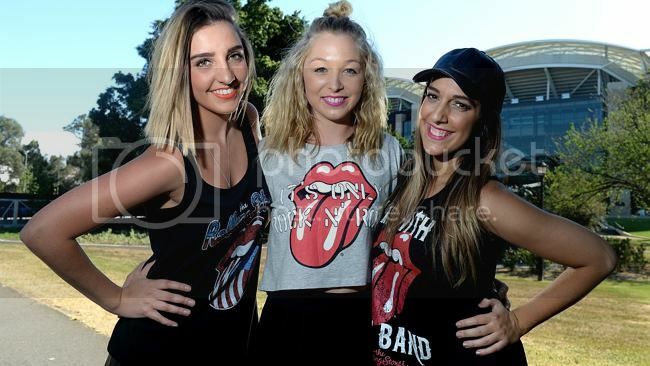 This thread is for live updates and comments regarding The Rolling Stones Adelaide Australia 25 October 2014 show. Please tell us your pre- and post-show thoughts and comments here. Edited 2 time(s). Last edit at 2014-10-25 00:30 by bv. Looking forward to all the great reports about the band live - have a good one!!! a great drinking song DEAD FLOWERS! Ronnie tweeted "Me with my pal Eddie"
in doubt leave it in the car or at home. are not permitted and may result in the removal of patrons from the event. Edited 4 time(s). Last edit at 2014-10-25 10:12 by copsnrobbers. Edited 2 time(s). Last edit at 2016-02-07 19:54 by colonial. I'm having my first beer of the tour looking out across the road at the oval. 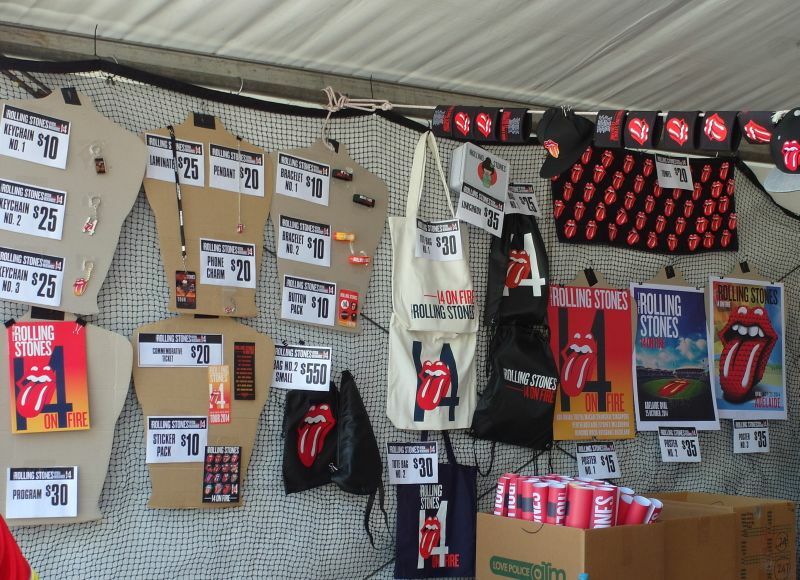 People with Stones merch bags around everywhere so the stores out front are open! Will head down soon to check it out. Have a great concert, everybody. I would love to be following it FOCS, but I will not be at home at the concert time, but I'm sure everybody will have a great time. Wish I was there...hoping Singapore wasn't my last show ever. Have fun, all! what's it look like the buzz around the city? The city is boiling - there is a big Stones buzz here. 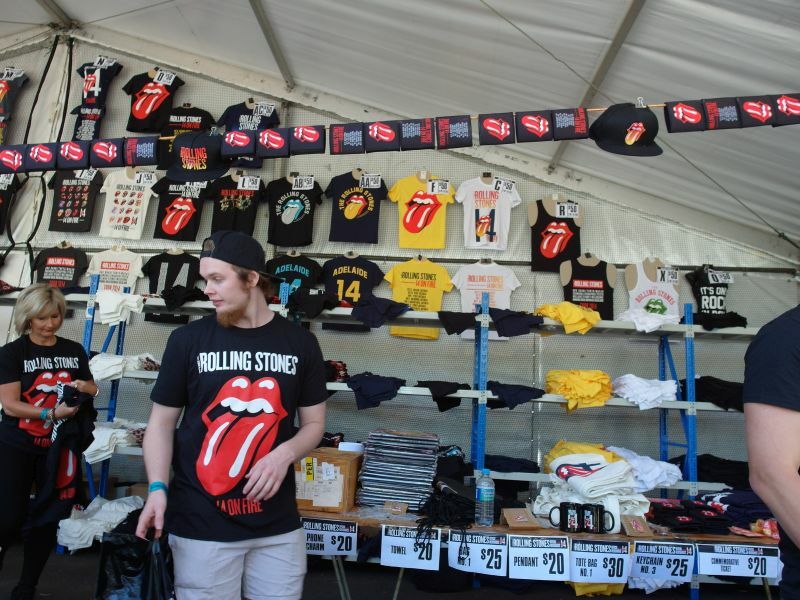 There are STONES shirts all over the city. Bootleg shirts are sold around the corners. It is something like +30 C i.e. 90 F very hot, the sun is up and the sky is blue, a fine day for a Stones show and a beer - Coopers Pale Ale that is. Fans are stalking the Stones hotel waiting for a sight of one of the band members. I still have no nerves but they will be there soon, don't know when. At some point I just get nervous even if it is just another show for me. But here in Adelaide they only visit once every 20 years. It is special. You can feel it. The atmosphere. Stonesland. Fans have been flying in from all over Australia and overseas. The buzz started last night. All hotels are fully booked. Now I will walk over and make some photos of the merchandise and the city and the fans. The Stones are in town, and in some six hours they will be on stage! THE STONES RULE THE DAY! It’s a beautiful day for our first show, I can’t wait to see you all tonight Adelaide! #StonesAdelaide"
Edited 1 time(s). Last edit at 2014-10-25 07:01 by copsnrobbers. Nice moves, Keef! Why doesn't he replace Mick as the 'Dancing Stone'? Enjoy the show, have a great time! I was at the east gate merchandise stand at about 3 pm and reckon they were in the house sound checking YCAGWYW with the choir... Loud, and nice. Gate attendant reckons he has had the best gig in the city for the last hour! I'm staying in the same hotel as the stones we waited in the lobby for them to come down but they snuck out via the underground car park. Only saw Bernard leaving quickly. Sound check being done now it sounds like all down the line from my spot by the hotel pool. The buzz is fantastic around the city with young and old enjoying the vibe, merchandise and the perfect weather! Reply #61 - Yesterday at 2:26pm Alert Board Moderator about this Post! ONE of the biggest rock concerts in the state’s history is All Sold Out and the Rolling Stones are ready to Rip This Joint on Saturday night. than just a sports venue. a sellout crowd of more than 53,500 expected. The current record since the reopening stands at 52,505 for Port Adelaide’s Round 22 victory over Carlton in August. 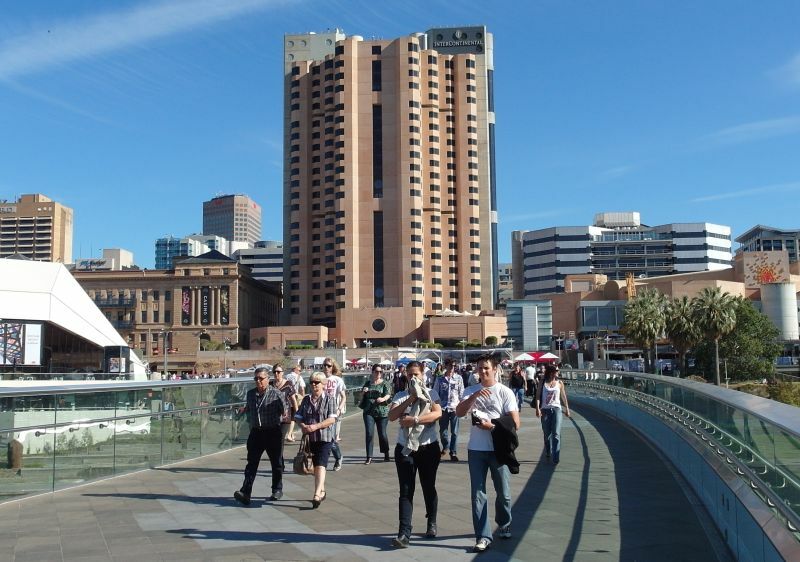 more than 11,000 interstate and overseas visitors have flooded the city. to the first concert of the Stones’ On Fire tour. wasn’t going to miss the last time they were here in 1995 for a sold-out show at Football Park. ever see them in Adelaide,” he said. 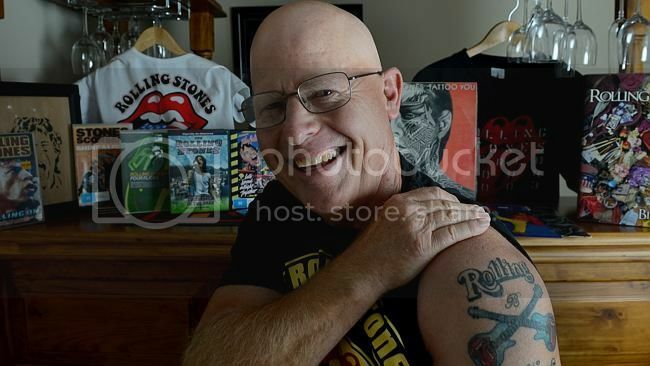 27, in tow — is a massive Stones fan and says the first Adelaide concert at Centennial Hall in 1965 changed his life. he said the show inspired him to start menswear business Saville Row that has since made him millions. “It opened a window to another world for a 13-year-old kid that had never left the state before,” Mr Quist said. Edited 1 time(s). Last edit at 2014-10-25 10:16 by copsnrobbers. It's always nice to hear when The Rolling Stones are going to play a concert. Rock out everyone. 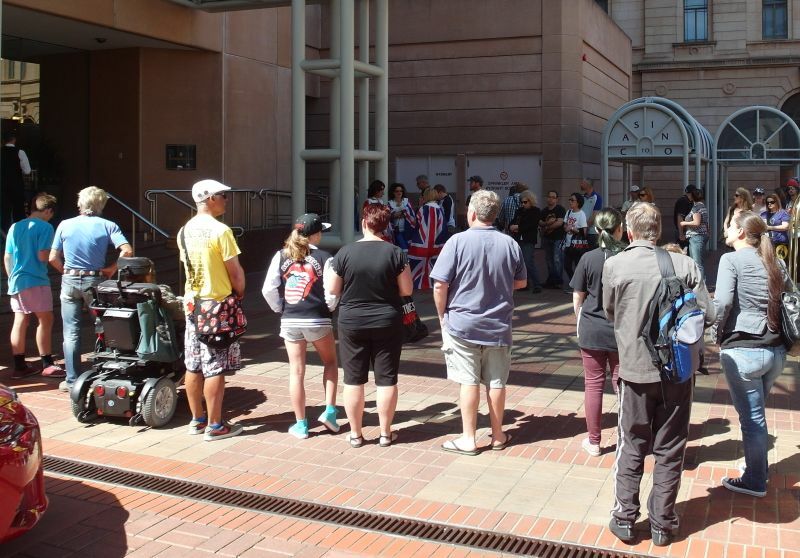 The line for merchandise at Adelaide Oval right now. Edited 1 time(s). Last edit at 2014-10-25 11:35 by claudine. hi all, uuuh why is the stage decoration incomplete ... in between the main stage and the side screens no vertical parts ..